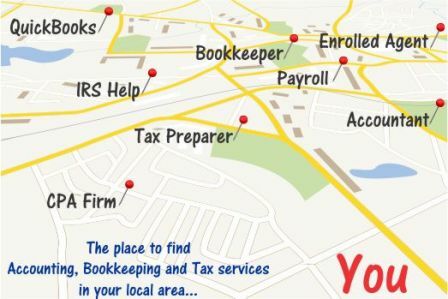 Bookkeeping and Accounting – what are the differences? | Accounting Questions, Tax Tips, Personal Finance Topics and More! Business owners often feel there is little difference between bookkeeping and accounting. Popular accounting software like QuickBooks allows business owners to produce their own P&L and balance sheets, but is this all there is to it? Tu Dao, a CPA in Houston, Texas discusses the differences between bookkeeping and accounting, and how the evolution of small business accounting software has affected these services. Tu: Years ago when small business accounting software was not as popular, the roles of a bookkeeper and an accountant were distinctively different. A bookkeeper typically handles and records daily transactions such as paying bills, creating invoices, collecting payments, making deposits, managing time-sheets for payroll, reconciling bank accounts. Records kept by a bookkeeper reflect all cash-in, cash-out of a business in chronological order. The process of compiling these records to prepare financial statements and other meaningful reports is, however, referred to as accounting. Bookkeeping is a critical part of accounting. Without accurate bookkeeping, financial reports will not be accurate. However, good bookkeeping alone may not give you good financial reports either. It takes certain knowledge such as double-entry accounting, business knowledge, tax laws etc., training, and experience to produce different variety of financial statements and meaningful accounting reports. Now that accounting software such as QuickBooks can produce Balance Sheet and Profit & Loss reports from raw data, the line between bookkeeping and accounting is not as distinctive to some small businesses. However, accounting software is still unable to replace accountants. A business paid $5,000 down payment and agreed to pay $750/month for 36 months to purchase a vehicle. Sales price of the vehicle was $30,000. A bookkeeper would typically record the $5,000 as auto expense in a simple entry. An accountant would record the $30,000 as fixed asset; record the loan, depreciation, principal payment, and interest expense. Accurate bookkeeping with organized records provides a strong foundation for good accounting. Good accounting provides meaningful reports. Good accounting reveals true profitability, financial position and cash flows of a business. Good accounting also allows business owners, and their consultants to see a big picture of the business, make insightful analysis, and make strategic planning accordingly.